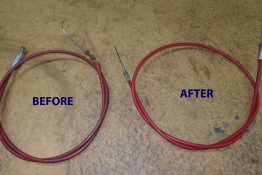 Before and after picture of an Alfa Romeo handbrake cable which has been fitted with new outer & conduit including fittings, inner cables and thread fittings. The shackles, brackets and arms have been refurbished. 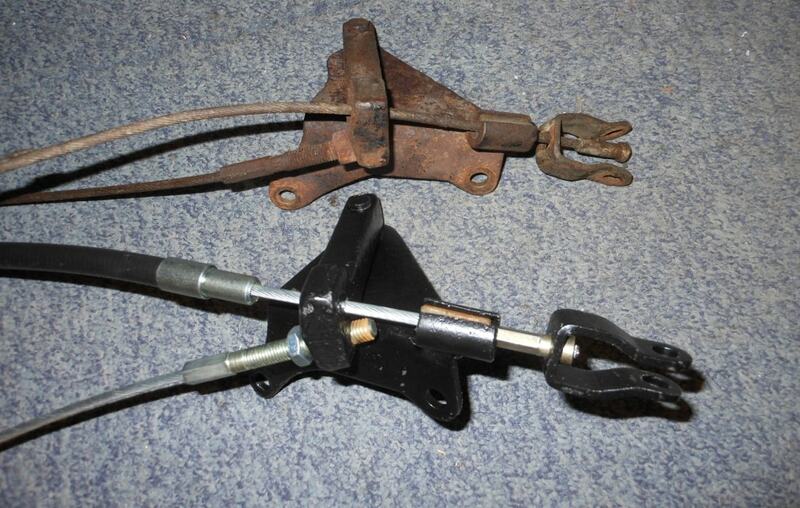 Alvis brake cable reassembled using all new parts and then, refurbished plates. 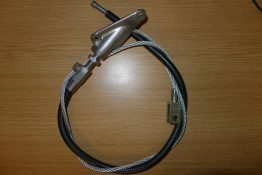 Before and after picture of a push pull throttle cable which has been fitted with a new 1.9mm stainless steel inner cable.